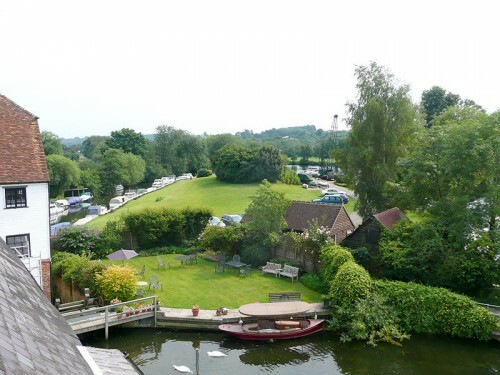 Enjoy the friendly atmosphere of an independent, family operated marina, situated in an area of outstanding natural beauty where the Hambleden valley meets the river Thames near Henley. 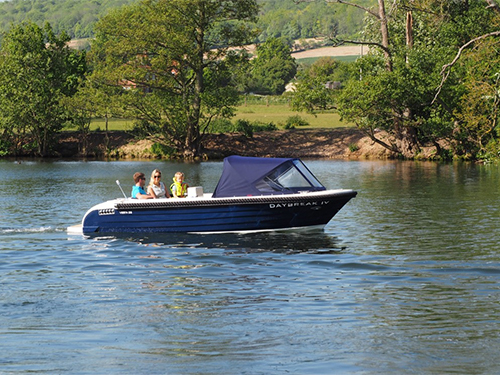 We offer a range of picturesque moorings and storage options suitable for classic launches, cruisers, canoes and small craft as well as some narrow boats and widebeams. Some of our mainland moorings are now upgraded to floating pontoons making an ideal shelter for larger boats over the winter; with year round water and electricity. 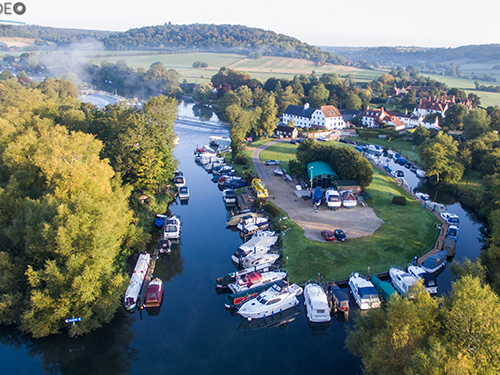 Our mainland moorings are some of the best on the Thames combining convenience, security and beautiful surroundings. These moorings are priced around £410 per meter per annum inc. VAT. This includes time on the hard for the winter with services or craning additional. Please note that a minimum charge of 7 metres does apply; however this can be reduced for smaller boats in some moorings at our discretion. Our island moorings are nearly all floating and offer the same great location, just a short paddle from our slipway in one of our dinghies. These are priced at around £250 per metre per annum inc. VAT. This includes time on the hard for the winter with services or craning additional. Please note that a minimum charge of 7 metres does apply; however this can be reduced for smaller boats in some moorings at our discretion. We also offer some small boat storage ashore for use with our slipway if suitable, POA for a minimum period of 26 weeks. This is generally available from late October to late March for customers who don’t have annual moorings with us or are waiting for one. It includes craning out, pressure washing below the waterline and craning back in again. This is priced at around £120 per metre, however we can provide a personalised package that fits your requirements including other services such as winterising, covering, anti-fouling, valeting etc. Please phone or email and and let us know your requirements. We have new floating pontoons on our sheltered mainland moorings providing an ideal winter base for narrow boats or other craft large or small. This is priced from £100 per metre inc VAT for the winter. Please don’t hesitate to contact us for further details of our moorings, facilities or services; or if you would like to organise a viewing.